Description: Filter/Surge Protector/Power Quality Analyzer. Supply Cable: Lab12 knack, IEC C20 connector. Output Connectors: 2x High Power Schuko (15A), 4x earthed low power (4A) (EU Version). Features: Power factor correction, Adjustable EMI filter (High/Low), Selectable filter topology (CMF/DMF), Live/Ground path check. Operation modes: Auto (adaptive), manual. 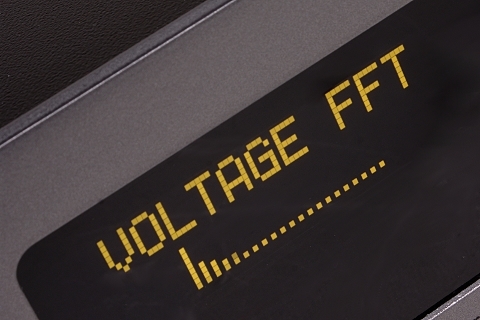 Power Quality analysis: Voltage/current/power/frequency measurement, voltage and current distortion measurement, voltage and current distortion analysis in the frequency domain (FFT), Power factor estimation, EMI measurement. Other features: Display brightness adjustment, Auto-off.